When researching eye exams, Cambridge, MA residents should consider Parrelli Optical. The professionals at Parrelli Optical are experienced and skilled. Proper examinations, will provide our doctors with information on the overall health of the patient. Certain discolorations and textural abnormalities, for example, can indicate cholesterol or blood pressure problems. In some cases, eye examinations can even warn patients that they may be developing diabetes. Regular screenings should allow individuals to catch any health issues before they grow more severe. The experts at Parrelli Optical are especially adept at giving eye exams to children. While older adults are more likely to experience a decline in vision, children can also suffer from problems. Because children may be a bit more hesitant to speak up, it is important that they be screened for abnormalities at an early age. If vision issues are detected, pediatric ophthalmologists can devise a treatment plan. Once children are fitted with the appropriate glasses, they should have a much easier time progressing in elementary school. Though many ocular problems can be fixed with corrective lenses, other maladies can only be repaired through surgical means. Once the results of the initial eye examination have come back, our optometrists will be able to help their patients choose the next step in the treatment process. The structure of the eye can ultimately reveal quite a bit about your overall health. If high blood pressure is detected, patients will be sent to a general practitioner for more tests. 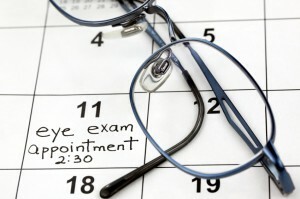 If you’re looking to schedule eye exams in the Cambridge, MA area, give us a call or schedule an appointment online!